In this time of economic uncertainty it’s okay to be a little selfish and pinch those pennies. The caveat to this unwritten rule is the month of October which is Breast Cancer Awareness month. To aid in awareness and finding a cure, many of our favorite beauty brands are giving back in big ways, providing exclusive offerings to benefit this amazing cause. From luxurious body treatments to flirty makeup shades, giving back has never been so easy! 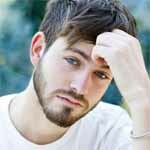 Read on for some of our favorite offerings! Smashbox Photo Finish Lipstick, $22. Forty percent of the proceeds from this gorgeous, babydoll pink shade- which comes in a watercolor-printed limited-edition sleeve- will benefit the Los Angeles County Affiliate of Susan G. Komen for the Cure to help raise awareness and funds for breast cancer research grants, meritorious awards, and educational, scientific and community outreach programs around the world. 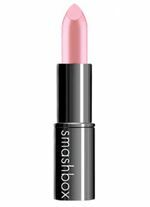 Like all Smashbox lipsticks, it goes on silky smooth and provides lasting color. Lalicious Sugar Kiss Sugar Souffle Scrub, $34. Anyone who has ever tried one of the famous Lalicious body scrubs will attest to how smooth and radient they leave your skin. During the month of October, Lalicius will be donating 15% of every Sugar Kiss purchase to the Breast Cancer Research fund. Also try Sugar Kiss Body Butter, $24. Purple Lab Sealed With a Cure, $18.50. In honor of Breast Cancer Awareness Month, Purple Lab, known for their Huge Lips Skinny Hips glosses, has partnered with The Triple Negative Breast Cancer Foundation to launch a special Sealed With A Cure lip gloss. The gloss is the perfect pink sheen with subtle flecks of gold and is good for you as well, containing loads of antioxidents, vitamins, and feel-good aroma therapy scents. Jurlique Fashion Targets Breast Cancer Set, $138. 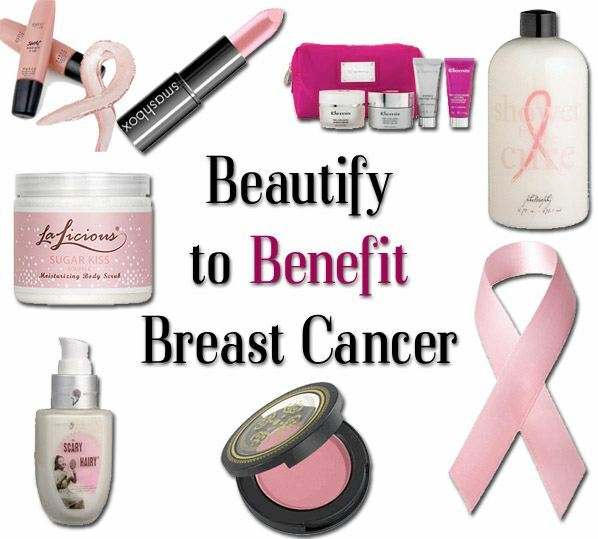 Beauty brand Jurlique has partnered with Fashion targets Breast Cancer in creating an incredible gift set (valued at $185) which includes Citrus Purifying Mist, Sun Lotion, Citrus Silk Finishing POwder, Citrus Hand Cream, and Purely Age-Defying Day Cream. A portion of the proceeds will be donated to the Fashion Targets Summer Fridays Campaign. Philosophy Shower for the Cure, $20. This creamy all-in-one formula can be used as a shampoo, shower gel or bubble bath and contains a touch of milk proteins and fruit essences. 100% of the proceeds will be donated to the Women’s Cancer Research Fund. Elemis ‘Essential Beauty Secrets’ Kit, $95 ($220 value). Elemis will donate a portion of the proceeds from this must-have kit to Breast Cancer Care- an organization that provides information and support, and campaigns for improved standards of care. The kit includes four award-winning formulas: Papaya Enzyme Peel, Pro-Collagen Marine Cream, Pro-Collagen Oxygenating Night Cream, and the Pro-Collagen Neck and Bust Lifting Treatment all inside a hot pink cosmetic case. It also contains a 5 Step Breast Check guide to make sure you regularly monitor yourself for any abnormal changes. Pristine Beauty No Scary Hairy- Natural Hair and Scalp Revival Conditioning and Shine Serum, $32. Pristine Beauty founder Blaire Kessler is a breast cancer survivor made it her mission to create an effective 100% pure, natural skin and hair care range. This formula is designed for anyone with dry or stressed hair and is made with only the best, all-natural ingredients to promote shiny, healthy hair. Pristine Beauty donates a portion of the proceeds to the Young Survival Coalition and the Cancer Prevention Coalition all year and for all products. Global Goddess Beauty Chai Cheek Color in Chawrasta, $20. I am a total sucker for sweet pink cheek-color. This formula is lightweight and moisturizing to deliver a flirty flush that lasts. 20% of net proceeds will go directly to The Breast Cancer Research Foundation (BCRF), benefiting breast cancer research and awareness. glominerals gloMarvelous in Pink Kit, $32. This limited edition kit was created to raise awareness and help the fight again breast cancer. It includes the new gloBronze kiss-a bronzer and highlighter in one- and gloLiquid lips high shine gloss in pink ginger. Beauty.com BCA Store. 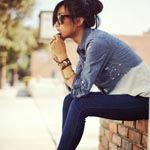 Beauty.com has partnered with CEW’s Cancer and Careers initiative. In addition to creating a BCA store with an assortment of products that benefit different BCA charities, from October 12-18, if you click on beauty.com/cancerandcareers, 10% of all purchases made on Beauty.com will be donated to CEW’s Cancer and Careers. Shoppers can buy ANYTHING sold on the site, not just BCA products. I really love everything about the sugar kiss from its name to the results it gives me. Thanks so much for including SWAC! The best kind of double duty beauty, fighting for a cure and feeling good in your skin!